You may have real or imagined problems that are creating anxiety. You may feel like ‘falling into a pit of despair’ or feel that your situation is abysmal. 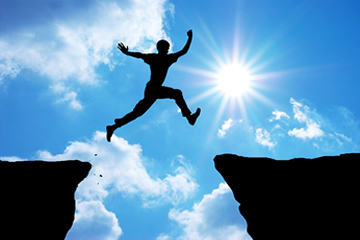 You may be ‘stood on the brink’ of something and fear ‘taking the plunge’. These feelings threaten you now so it is important that you examine your situation and discover what is causing these unpleasant emotions. The answer may lie within you. A dark abyss can also symbolise the unknown part of you. If you feel anxious, it may be because you are uncertain what you will discover about yourself and about your hidden feelings and fears. Sometimes dreams of this nature occur when the dreamer is thinking about death- not as a prediction but as a way to remind us of the importance of life. The abyss is considered an omen that foretells financial difficulties. You must be extremely careful in all your business dealings. Some archaic systems warn of romantic, employment or health problems ahead. The collective advice is: proceed with great caution in all your affairs. Only dreams that are on this topic of the Abyss will be included. If you have a dream with another theme please first consult and post on our on-line dream dictionary.